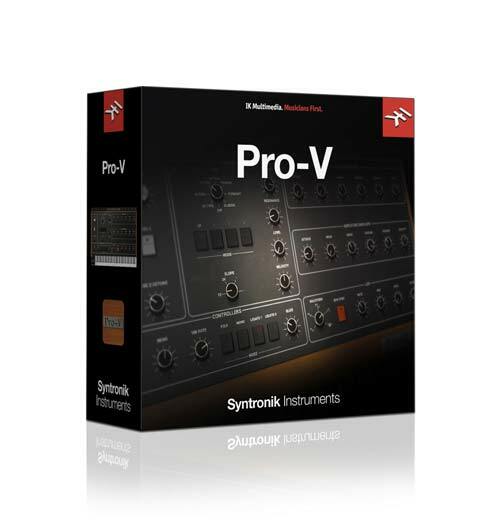 The Syntronik Pro-V offers the rich, polyphonic sounds of the Sequential Circuits Prophet-5 and Prophet-10. 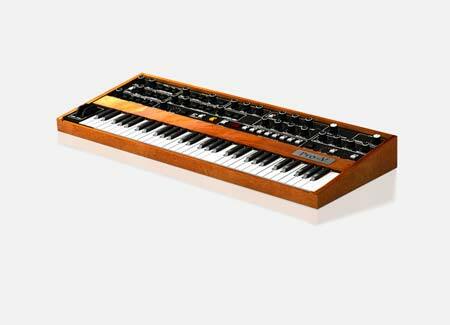 Manufactured from 1978—1984, the Prophet-5 is perhaps the most popular polysynth of its era. It starts with two selectable-shape oscillators per voice along with a noise generator going into a 4-pole low pass filter. Oscillator sync and FM is available which creates many of the classic pop tones for which the Prophet-5 is known. A creative Poly Mod section lets the second oscillator or the filter envelope modulate the pitch or pulse width of the first oscillator for further tonal flexibility. The Prophet-5 has five voices, and like the Oberheim OB-series and Roland Jupiters, it has a Unison mode where all five voices can be stacked for a thicker sound. And then the rare analog monster, the Prophet-10 is a coveted 10-voice version of the instrument admired by synth aficionados the world over. The Prophets have been used by a plethora of world-famous artists including, Duran Duran, Depeche Mode, Vince Clarke, Talking Heads, Peter Gabriel, Genesis, Gary Numan, Thomas Dolby, New Order, Prodigy, INXS, The Cars, Phil Collins, Richard Barbieri, Hall & Oates, Jean-Michel Jarre, Steely Dan, Kitaro, Level 42, Pink Floyd, the Eurythmics, Pet Shop Boys, Vangelis, George Duke, John Carpenter, Kraftwerk and many more.